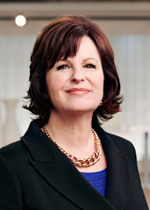 Linda Dillman has served as Chief Information Officer for QVC since January 2012. In this role, she develops the global information technology vision and strategy in partnership with QVC’s global senior leadership.Dillman is responsible for establishing and overseeing the IT teams in all QVC Markets: US, UK, Germany, Italy, Japan and France. Under Linda’s leadership, the Global IT team is helping to build a global brand by offering customers access to a seamlessly integrated, interactive and engaging shopping experience, wherever and whenever the customer chooses. Linda has leveraged her extensive leadership experiences to create a more agile technology platform, which allows QVC to respond very quickly to shifts in customer behavior and viewer preferences. Dillman began her distinguished career as a computer operator. She previously spent 18 years with Wal-Mart holding positions of increasing responsibility, including EVP and CIO. Subsequent to Wal-Mart, she held leadership positions at Hewlett-Packard, including SVP Global IT. A seasoned leader, Dillman was recently named one of the Top 10 Women in Retail Tech by Chain Store Age magazine. In 2015, Dillman was named a Top IT Pro by the Philadelphia Business Journal. She has also been recognized as a Computerworld Premier 100 IT leader for 2014 and a Most Powerful Women in Cable by CableFAX magazine for the past two years. Additionally, Ms. Dillman was named to Fortune’s “50 Most Powerful Women in Business” for five consecutive years. She was recently appointed to the GS1 US Board of Governors and is on the board of directors for Cerner, the leading US supplier of healthcare information technology solutions. Dillman earned her degree in Business Administration from the University of Indianapolis.